ML: Is it true you got your first job in comics when you were 15 years old? How did that happen? JK: I had been drawing all my life ever since I was two years old, ever since I could hold a pencil. One of my buddies in junior high school had a relative who was involved with what was originally Archie comics, then called MLJ, and he saw the stuff I had been drawing. Stuff like Tarzan, superhero type characters and he said "Hey Joe, these kinds of comic books are coming out now" of course this is almost at the very birth of comic books. He said "You could draw as well as they do. ", and I believed him. (Laughs) He said "I have this Uncle that works up there at MLJ, they publish comic books. Maybe you could get a job there and make some money doing that." So I took some of the drawings I did on backs of paper bags and stuff like that, I wrapped them up in the news paper, got on a subway train going into New York. It was a nickel and took me right up Canal Street. I went up to the office. I spoke to the guys, learned what it was about and within a year after that I sold my first piece of work. ML: So you must have been pretty good? JK: ...It was terrible. (Laughs) It was awful. When I see some of the stuff I did years back, it hurts my eyes. ML: I find that a lot of my friends that are artists feel that way no matter how good their art is. JK: That's true. I think that most of us that have been doing this kind of stuff, any artist I guess, is looking to have the next piece of work be better than the one he just finished. ML: Would you say it's harder to break in to the industry today? JK: It's much, much more difficult to break in today than it was at that time. At that time comic books were ten cents a shot. It was sixty four pages and they needed to be filled up any which way. The five or six pages that I sold the first time around, they paid me, but I should have paid them. They paid me five dollars a page for it. The five pages I did despite the fact that they were so bad, were overly compensated for by the other sixty pages that were reasonably good. It was an opportunity for guys like me to learn on the job. If a comic was selling less than a hundred and fifty thousand they stopped printing them. It just wasn't worth while printing them beyond that number. Today if you're selling twenty or thirty thousand you're doing pretty good. So the entire business was totally different. The entire set up was different. It was a different world and it gave guys like me an opportunity to break into a business. That is extremely difficult to do now. Now unless you know what the hell you're doing, and you know how to put the stuff together in a way the publisher is looking for, you're just not getting in. ML: Many publishers don't except unsolicited submissions anymore. I'm sure that adds to the difficulty for someone that doesn't live near a comic con. JK: Right and that of course is because of the legalities involved. It's the kind of thing that happens over and over. Publishers have been burned by artists that have sent in unsolicited material and would later accuse them of having stolen ideas. Therefore places like Marvel and DC, who have kind of deep pockets just won't do that anymore. At the time when I went around, I unknowingly, without knowing what the hell it was all about, went up to a place without an appointment, without bothering to call anybody and ask if they would see me. I just knocked on the door and strangely enough they let me in. When I went up to MLJ that first time those guys were so kind. The editor up there talked to me for a while. He brought me into the bullpen where the guys were working. He introduced me to the artists that were there. I didn't know what type of material to use; I had never used a brush or ink. I did all my work with pencil. I didn't know how the stuff was prepared to begin with and they gave me the material. They gave me the paper to take home with me. I didn't know you had to draw it twice up in size. They showed me how to do all the stuff and helped me all along the way. That's not something that would easily happen today. ML: Do you think your youth had something to do with them taking you under their wing? JK: That may very well be. These guys were kind enough to speak to some obnoxious kid who showed them some scribbles on a piece of paper. It may very well have been my youth that cut open the door for me. Either way they were extremely kind. ML: Let's talk about the world renowned school that bares your name. You recently changed the name of the school from The Joe Kubert School of Cartoon & Graphic Art, to just The Kubert School. What was the reason for that? 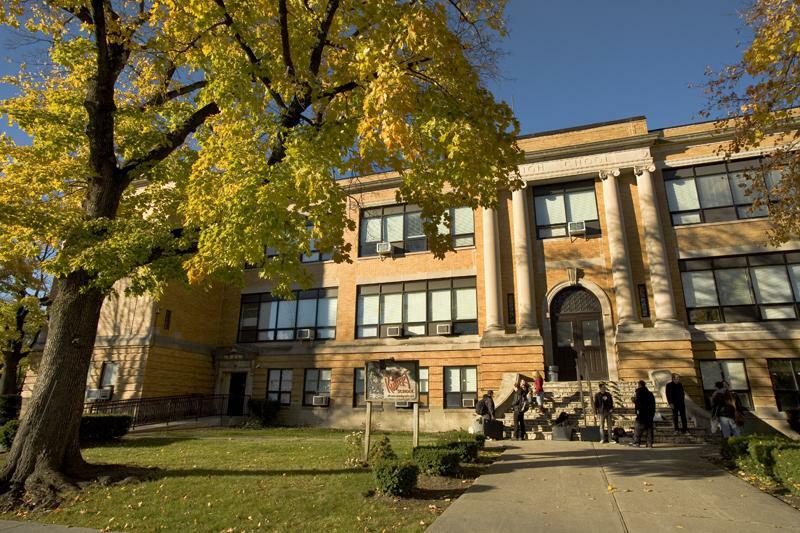 JK: Well, we thought it was time after thirty five years to give a reflection of the school itself having advanced over those thirty five years in terms of design, the look, appearance, and the fact is my two sons are now in the business with me. Both Adam and Andy, are in addition to teaching, which they have been for the last ten years, they're getting more and more into running the place. I've threatened any number of times to step back, "Let me pull back, let me do my own stuff", but they won't let me. (Laughs) That's one of the reasons. We modernized the website too. We added new photos, some newer history of the kind of students that have graduated, what they have done, the kinds of classes that were doing. When I started the school using a computer to do this work was unheard of. No one was using a computer. Not for what we were doing anyway. Today it's an important factor not only in art, but any business. You can't run a business today without the use of computers. The site now reflects all the things we're trying to get into, what we have done and where we're hoping to go. ML: What inspired you to start The Kubert school? JK: I thought it would be a good thing for people who had the kind of motivation I did starting out. Instead of accruing the information piece by piece as I did, having met people and spoken off and on to other artists, different writers and so on. I thought it would be a good thing if there was one place a guy could go to if he wanted to do this kind of work and was really dedicated enough to take on the load of stuff for the period of time one would have to attend the school. That's the reason. The other part of the story is my Wife who runs the business side of things at the school, if she wasn't available. If there wasn't someone to handle the business end of it I wouldn't have started the school. ML: Now, I have no idea how one would go about starting a school. Was it hard to get off the ground? JK: (Laughs) Well, being so abysmally ignorant of all of this in the beginning is probably why I did it. If I had realized knowing what I know now about running the school, if I thought of it today, I would have never done it. I would never ever do it. But not having any kind of knowledge of what it takes to start a school I blindly went ahead. There is a lot to say for a person who is having any kind of trepidation for any new thing they are trying to take a crack at. A lot of times if you don't know much about it, especially the negative aspects of what you have to do, it's a lot easier to get something off the ground on that basis. Rather than if you know too much about it. If you know too much of the traps and pitfalls, and the hard things you have to do, it would stop you before you start. ML: What's the secret to keeping the school going strong for so many years? JK: I really don't know. I never expected the school to last as long as it has. In all probability it's the accomplishments of the students that have come out of the school over the last 35 years. It's been the most successful thing to keep the school going. I'm really proud of the students that have come to this school and that have graduated and what they're doing today. They did a hell of a lot of hard work and have accomplished a hell of a lot, guys like Stephen Bissette, Tom Mandrake and his wife. Incidentally there are so many people that met here and got married as a result of this. Tom's daughter Sian Mandrake is now attending the school. She's a senior, a third year student and she's doing terrifically well. I think she's even going to surpass both her old man and her mother. ML: So you've now seen generations of artists pass through? That's pretty cool. JK: That's something I never expected. It's something that's really amazing to me. ML: You have to be pretty happy with the level credibility your school has in the comics industry. It really is like a badge of honor to say that you graduated The Kubert School. JK: Yes I am, because I've heard very little negative feedback from students who have gone to the school and come out. Of course it's only natural, but I only hear good things. ML: I've always been curious about your correspondence courses. How do they compare to the actual classes held at the school? JK: Well, it's quite different. 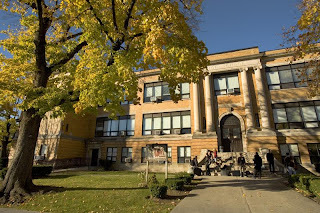 The correspondence school was something that I started because there were so many people for whom it was impossible to attend the school here full time and they asked if there was any way they could get some lessons or learn what this was all about. The correspondence course is not what someone should take thinking that it's a means of acquiring a professional level of work. It's a beginner course. It just scratches the surface, despite the fact that I know that they are a number of people of a professional status that have taken the correspondence courses. I never would have dreamed that it would last as long as it has. Our correspondence course has over six thousand students who have taken the lessons and I'm astounded. ML: What's the one mistake you see budding cartoonists make most often? JK: The prime acquisition of knowledge that a student has to make in order to do this kind of work is to know that the cartoonist's job is to tell a story. If you want to do pretty pictures you can be an illustrator, you can make wall paper, there are a hundred different areas you can get into in addition to being a cartoonist. However the cartoonist is primarily and foremost a storyteller and if you don't do that I don't care how pretty the drawings are that you make, if you're not communicating with those drawings you're not a cartoonist. I could also add to that and say I don't see a hell of a lot of people in our business today that adhere to what I just described. I get almost every comic book every month, I still love comic books, but I can only read about 75% of them, because the others, despite the fact that they're printed on beautiful paper, National Geographic level of printing. I can't read it. It's just unintelligible to me and I think that's a big mistake. The storytelling aspects are just not there. They don't communicate. That's what the cartoonist should be doing. A lot of people in the business just aren't doing it. ML: What do you think about modern coloring techniques? JK: It's like a kid getting to eat a chocolate ice cream cone for the first time; he doesn't know when to stop. It's so tasty; it's too delicious to stop eating. The ability to color with the infinite variety of colors is very enticing, it's very tasty. A major portion of the books that I'm seeing are so thick with color they obfuscate the drawings. It makes it difficult to read. Color is an enhancement to the black and white drawing as far as I'm concerned. There are some incredibly talented artists out there; I'm not denigrating their ability to do that kind of artwork. I do feel that storytelling is an important factor. A part of that storytelling involves the color. If the color goes on so heavy and so dark that it becomes difficult to see what the hell is going on underneath, I think that's a mistake. ML: There are coloring classes at the school. What does your staff teach as far as that goes? JK: Yes, we teach coloring here on the computer. Everything that's being done in the industry today is taught here. The difference is that we don't start from the year 2005 or 2010. We start at the beginning to show people where it all came from, where it started, and why we're doing what we're doing today. We show where everything started from, and the reasons we were doing it the way we were doing it forty years ago. Why it was effective. A lot of the basics of it should be used today. The computer is merely another tool. It's another brush. It doesn't teach you how to draw. It allows you to do certain things and get certain effects that were difficult to do at one time, but it's still only a tool. Knowing how to draw, knowing anatomy and figure drawing, there's no substitute. You can't get a machine that's going to give you that kind of information. It's something that has to be studied and learned by any artist that wants to draw. I think it was Michelangelo or one of the masters that said if you can draw the human figure you can draw anything. It's true. You can draw with a stick on the ground, but without the knowledge necessary to go with it, it just doesn't work. Now you can use a computer, you can use the colors that are absolutely magnificent, you can use any tool, but if you don't know how to use them, not only are they useless, they are harmful. ML: It's an uncertain time in the comic industry right now. Retailers are hurting, and profits are down. How do you think we can save the industry? How can we bring in more readers? JK: Well, I think the way to get more readers is to do the kind of material that readers want to read. I've heard the death knell rung for comic books at least a half a dozen times in my lifetime. It never happened. There were times, for sure everybody felt the end of the business, and the end of the profession was coming. "It's gonna happen! Better run around find something else, because it's not going to be here tomorrow." I however think as long as it's done well, it's put together in an understandable manner that the combination of the written word and the pictures cannot be substituted. They can be brought to you in different medias, you can see them on the iPad, or the computer. However it has to be done in a certain way. A good cartoonist knows how to do that. There will always be people that want to do it and people that will want to read it. It's been proven I don't know how many times that the best way to communicate is by the combination of the written word and pictures. The combination of the two is extremely effective and clarifying. I think it was Will Eisner who said that he could take any subject including math, geography, and history, put it together in an entertaining way pictorially, and people will read it. People will want to read it. 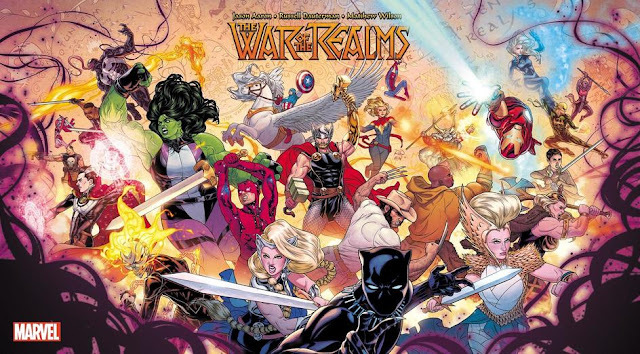 ML: How do you feel about digital comics? JK: I think there's room for everything. You're talking to an old man here. I like to feel the paper I like to be able to carry it around with me. It's a bit easier than carrying around a laptop or trying to call up a picture. I can open it up anytime I want to. It's easy to handle and I like the feel of it. I think a lot of people do. Not just the older people. I think they'll be around for as long as people are reading. I definitely think there is a place for digital comics. I think any widening varieties of places where our medium is being published or shown is a big plus. I don't think one will take over the place of the other. ML: I think of it like the music lovers who love listening to vinyl records will still go to the record store to find their albums. There is a lot of music being downloaded, but there are still record stores. The people who love records are going to go find records. The people that love paper comics are going to find paper comics. ML: So, DC is currently re-printing a lot of your works as hard covers collections. Obviously you have worked on comics in just about every genre one could think of, but War seems to be one genre you come back to often. You've worked on Sgt. Rock, Enemy Ace, Dong Xoai Vietnam, Yossel, What is it about war stories that appeals to you? JK: I have no affection for war. There is nothing that pulls me to do war stores. I was interested in every other genre that I have worked in addition to war stories. It just so happens that I have done a lot of war stories simply because a guy by the name of Robert Kanigher, who was the writer that came up with the idea of Sgt. Rock. He wrote some excellent stories that detailed for me and drew in my head those kinds of pictures. What he wrote about I drew. Sgt. Rock was quite popular. At one time it was outselling Superman as a matter of fact. Because of its popularity, because of its acceptance I ended up doing a lot of war stories. It's not that I particularly loved doing war stories. That's what was selling. I came back and did Vietnam stories, the stories themselves were compelling. The Dong Xoai Vietnam story is being re-published by Time Warner. It's a story I came by based on an occurrence that happened forty years ago. I'm doing a whole series of Sgt. Rock stories now. Purely because I know the subject pretty well and I think I'm putting a different twist on it. These are going to be stories that involve Easy Company, the company that Sgt. Rock was in charge of, but it's more about those guys, how they came to be nick named what they were. Guys like Bulldozer, Little Sure Shot characters like that. I'm doing their backgrounds because I felt it would be an interesting story. I select the subject matter that intrigues me, which I feel I can do a halfway decent job on. Something I want to do. I'm also lucky enough to be in a position where when I do something I want to do there are publishers willing to print it. ML: Is there any advice you can give creators who would want to take on the subject of war and deal with it in a realistic way? JK: The only thing I can tell them is to just do your reference work. Get as many pictures, as many books as you can on the subject. Try to get into the subject that you're doing whether it's western, weird, romance, whatever the story is about. Get as much reference material that you can so it will be credible and believable. The fact is that most of the things we do are figments of our imagination and unless there is a credibility attached to the work that we do, they're worthless. The best example I can think of is some of the Disney stuff. Pinocchio for instance, one of the best films they ever did. You look at the characters, they're cartoon characters. You know inherently that people like Geppetto just don't exist, they're drawings, but the backgrounds rendered in those drawings were absolutely real. They were painted beautifully, fully detailed. Reference went into that. The artists made sure that every background was immaculate in terms of its credibility. That's what made the whole story believable. When the whale comes out of the water, that water looks absolutely real despite the fact that the whale looks like a cartoon character. You have to know your subject really well to draw it, because if it doesn't have that credibility it's worthless. Nobody will think these things are really happening. Looking for reference often takes longer than drawing it. You need to make sure what you're doing is right. It takes longer than the actual execution, but it's an important part of what you're doing. ML: A more recent story of yours that's being re-released is your original graphic novel Yossel. How would you describe the book? JK: That story is a "What If?" story. My parents brought me to the United States when I was two months old. That was back in 1926. I'm going to be 85. In 1926 the problems in Europe hadn't started yet. The reason they came is because they wanted to find a place where the future would hold good things for their children, not because anything terrible was happening in Europe or the small town from which they came. As time went on World War II started, and lasted from 1939 to 1945.The whole world learned about the terrible things that were happening over there. Over the years I had been thinking off and on what would have happened to my family, to me and my siblings if my family hadn't come to the United States at that time. I heard all these horror stories going on. The concentration camps and so on. So, Yossel is a story about what if. "What would have happened if we stayed in Europe?" "What would have happened to me?" I would have still been drawing pictures, no matter what I know I would be drawing pictures. So the character in the book is me. 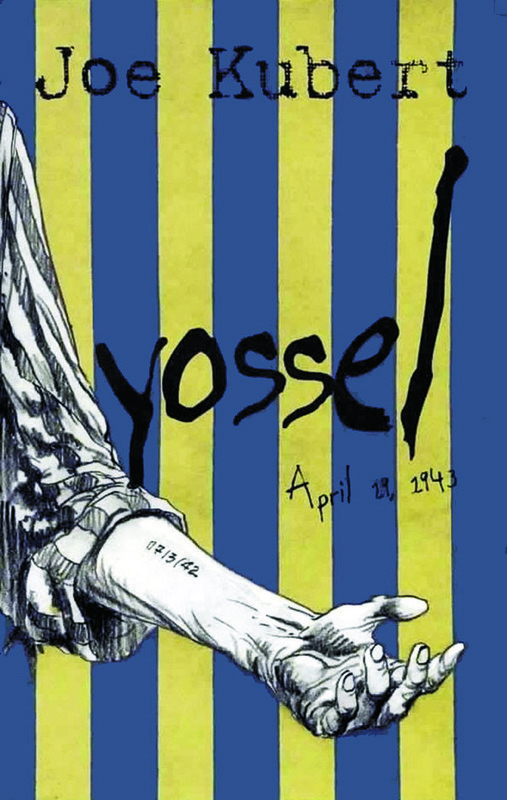 Yossel in Hebrew is Joseph, that's my name. That's the reason I did the book. ML: Well it's a pretty powerful work of fiction. How did you go about putting that story on the paper? It was interesting because I started doing the book with the idea that I would do it in panel form and I was going to do penciling and inking. Just like I do most of my work, but when I finished the first page or two with pencil I felt that there was an immediacy in my drawings that I wanted to retain. That immediacy kind of disappeared when I finished it in panel form. To me it weakened the effect I was looking for. The effect I was looking for in the book was the feeling that the reader was looking over my shoulder while I drew what I saw happening in front of my eyes. So a lot of the drawings are incomplete. They aren't completed for a purpose. I wanted the reader to feel he was right there as these events were happening. 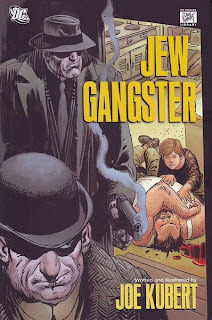 ML: Another original graphic novel from the mind of Joe Kubert, Jew Gangster, is also being re-released. Can you tell us a little bit about that story? JK: Jew Gangster is the story of where I grew up. It takes place in the mid thirties and it describes the kind of set up that existed at the time I grew up in Brooklyn. Murder Incorporated was the outfit that strangely everybody admired. All the kids, all the guys would recognize the group. They would come into the candy stores, they would come into the bakery. They would toss a buck or two to a kid just because they liked them. They were admired by the folks that didn't have any money at all. Jew Gangster was used as an admonition by my parents. They would say "Whatever you do, don't grow up to be a Jew gangster." So I felt it might be a good title. It's ironic to know when the book was first published, when I told DC what I was going to be doing they wanted to publish it, but they didn't like the title. This was six or seven years ago. They insisted that I change the title. I said no. They were afraid of the connotation and what people might think. I said, no this is an admonition. This is something that is a negative, it's not positive. They said "No. If you want us to publish it you have to change the title." I said "Okay, you're not going to publish it." I took it across the street to another publisher that ran it as I wanted it to. Byron Priess, a young guy that I had met years and years ago before he was a publisher. He used to work up at DC as a copy boy or whatever. He had turned publisher, and Byron had done a lot of good books. I gave him a call. I said I have something and he said to bring it over, whatever it is I'll publish it. Now it's five or six years later and DC is publishing the book and using the title I originally wanted. It's not to say "Nyah Nyah"; I don't mean that at all. It's just interesting. ML: The story was set to be a trilogy, correct? When is the next coming out? JK: Yes. I have the second book all sketched out. I did that about three or four years ago. I've been so inundated with projects that I've gotten into that I have not been able to get back to it. But, yes it is a trilogy. ML: You have countless great comics under your belt. Out of all the stories that you have illustrated over the years what is the one you're most pleased with? The one that you think really came out the way you wanted it to? JK: I have to admit that nothing that I have ever done has been something that I'm completely satisfied with. I'm always looking for the next thing. I felt I was completely satisfied with something it would probably be tempted to repeat that, and I couldn't think of anything more boring than to do the same thing, even though it was successful, over and over again. I like to try different things and I'm hoping that the next job I do is better than the one I just finished. So I can't say I'm completely satisfied with anything that I've done in the past. That stuff I did at the beginning I can't even look at. ML: On that note. What's the one comic that you wish you could go back and re-do? JK: Ah, but I do. (Laughs) I do exactly that. That's why I'm doing the Sgt. Rock thing I'm doing now, because I have carte blanche on doing it any way I want to do it. I love that kind of responsibility, because it opens up new doors for me to try new things if I feel I want to. Add things that perhaps at one time I couldn't or wouldn't do. So I'm doing that all the time. ML: What would you like the fans that are reading these re-released books for the first time to come away with? JK: God, I don't know. There is a feeling that I get when I have an idea in mind or a picture in mind and I'm able to sit down and draw or get close to what I was thinking. It gives me great satisfaction. It's something that I love to do. So I can't truthfully say that I'm doing this for a reader or somebody else. I‘m doing it for me, because I have a need to do this kind of work. I'm in all probability one of the luckiest guys in the world, because I always, all my life loved to do what I'm doing now, and people are still willing to pay me for it! How lucky can you get? In terms of designing these things where I feel someone else is going to like it? I can't do that. It wouldn't be as satisfying to me as doing something I wanted to do because I want to do it. ML: What are your plans for the future? What's on your drawing table now? JK: I'm doing half a dozen of this anthology book I've been working on for the last year and a half. It's called Joe Kubert Presents, and that's going to be published by DC. There's no deadline on it, but I hope it will be out this summer, because four of them are already in the can, and I won't allow them to publish the first one until at least four are done. I'm just wrapping up the fourth one now. I've just written the fifth story of a six-issue Sgt. Rock's Easy Company. So those are both on my table right now. In addition to a lot of other stuff we're doing we are working on PS Magazine. Will Eisner when he was in the army back in 44 or 45, he was assigned to a group that was printing magazines for the army on how to maintain their weapons and things like that. During that job an officer told him that he didn't know why they were doing that stuff, because nobody ever reads it. "All these maintenance books, I don't know why we even bother." Will said "Look, the guys will read it if you present it in an entertaining way." "Well what do you mean?" and Will showed him. The first issues of this particular booklet started back in the 40's and it's still being published today. It's celebrating its sixtieth or seventieth birthday. Now that book goes out to bid for anybody that wants to take that on every ten years. About ten years ago I got a call from my friend Neal Adams. Neal said "Joe, I just had a guy up here who is looking for a bunch of artists. He wanted to hire me, because he wants to put in a bid for this PS Magazine for the Army." I knew nothing about it, I had known about the work that Will had done. He and a bunch of guys I knew had worked on the magazine. I said I hadn't heard of them. Neal said "I had to turn them down, because I would have to turn my whole shop over to do that kind of work. I didn't say anything to him, but it would be great for you to take a crack at it, because you have students coming out of the school. It might be a good thing for them to do." I said that sounds good. He gave me the information. Well I got the first bid ten years ago to do the magazine. It's a 64 page magazine turned out every month 12 times a year. I am now celebrating my tenth year because I signed a second contract. I bid one out after the first 5 years. They now increased it to ten years. I think about the time I'm 120 I can step away from it. (Laughs) But anyway were doing that in addition to all the other responsibilities and stuff that I'm doing, including teaching at the school. So I'm kind of busy. 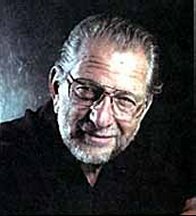 Joe Kubert passed away recently at the age of 85. However he has indeed reached that level of immortality that all artists wish for, consciously or subconsciously. He will never be forgotten. The legend of Joe Kubert will last forever. 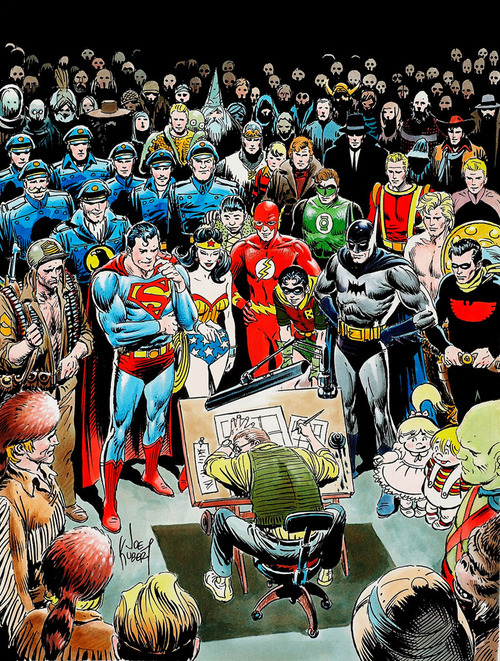 Godspeed Mr. Kubert.